The Neon Neuron Blog: A New Mercurial Smile Comic! 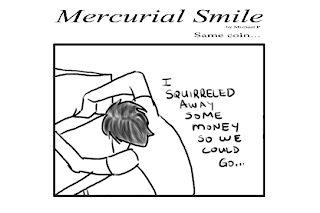 We have a sad story this week on the Mercurial Smile, but a valuable lesson. You don't always get what you want. Yeah, that about sums it up.